Vintage studio pottery -from Hanmer Potteries. 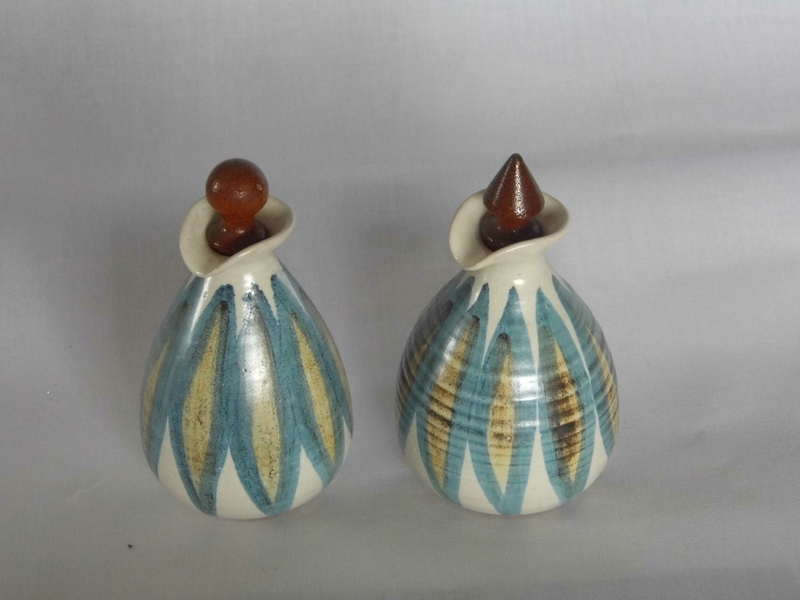 Two matching wooden stoppered ceramic bottles. 120 x 80mm -plus lid.